Spica Publishing produces supplements for the current edition of the Traveller science fiction roleplaying game. Some of Spica Publishing’s products may contain ‘Open Game Content’ (‘OGC’), which is released under the Open Game Licence version 1.0a (‘OGL’) from Wizards of the Coast, Inc. Spica Publishing products that contain OGC have a copy of the OGL on the very last page of the product. Each product that contains OGC will have the OGC listed in paragraph 8 Identification of the OGL on the last page of the product. Spica Publishing produces two types of product: our Traveller products, which can be used in most science fiction roleplaying game settings, and our own Outer Veil setting products. Both types of product have distinct trade dress to enable customers to differentiate between the two. Both products carry the ‘Traveller Compatible Product’ logo on their front covers. 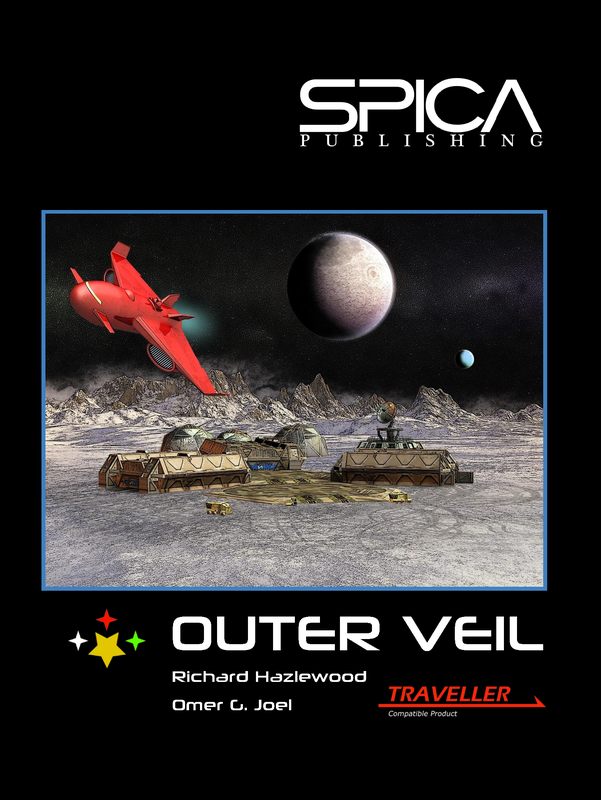 Spica Publishing’s Outer Veil setting was created by Omer Golan Joel with Richard Hazlewood. 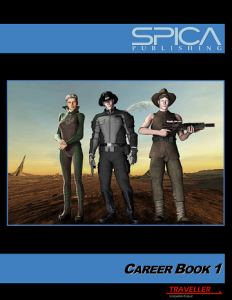 All of Spica Publishing’s products are available to purchase as PDF downloads from the Spica Publishing page at DriveThruRPG.com. Print editions of most Spica Publishing products are available as print-on-demand from Spica Publishing’s Lulu store.